In 2012, a diagnosis of cancer impels Bo Miller to address the reasons he didn’t keep his promise to his high-school sweetheart, Mona Beth Adams. She’s not just reluctant to revisit the past: she’s openly hostile about it. They are given a stack of forty-year-old letters, which might just open the doors …Pilgrimage of Promise moves between the 1960’s and the present as we are shown how Mona Beth and Bo meet and fall in love, and the obstacles and misunderstandings that eventually separated them. It’s an interesting way to tell a story: we know in the present that they were separated but reunited, but we still have to live through the past anguish with them (mentally shouting “don’t do that, you stupid woman” to some of the minor characters as we go). 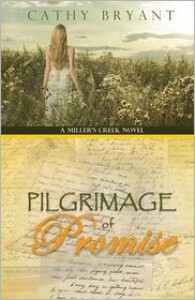 This was the final book in the Millers Creek series, following Texas Roads, A Path Less Travelled and The Way of Grace. I haven’t read the others, and I found Pilgrimage of Promise can easily be read as a stand-alone, as the focus is on what happened in the past more than the present. Yes, reading this first might ‘spoil’ some of the plot points in the previous novels, but I can also see how it will tie up some of the lingering questions in the earlier books.The story had a strong Christian theme. What I found particularly interesting was the way teenage Mona Beth was the one with the strong faith, but in the present it was Bo who was stronger. I very much liked the way the book dealt with some difficult subject matter without descending into angst or over-emoting (I can think of one famous author who I no longer read because she hasn’t learned this lesson). That’s one of the reasons I liked Pilgrimage of Promise so much—because of the strong writing. I also really liked the characters, who were so much more realistic and human than many I see in Christian fiction. I even enjoyed the bittersweet nature of the plot. I’ll certainly read more from Cathy Bryant. Recommended. 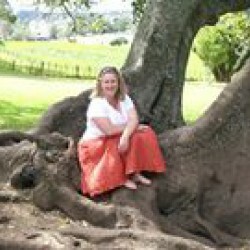 Thanks to the author for providing a free ebook for review.